Arizona Guest Ranch Vacation Season Opens November 11th! Enjoy a guest ranch vacation this winter in sunny Arizona! 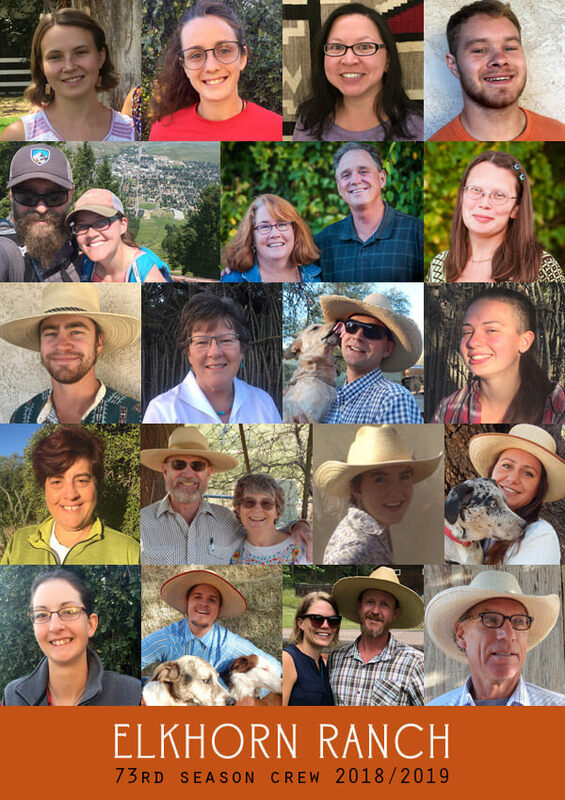 The Miller family and 73rd season crew welcome you to Elkhorn Ranch, southwest of Tucson. A guest ranch vacation combines relaxation and adventure! We’re here to take you horseback riding in the rugged scenic Baboquivari Mountains and into the open desert of the Altar Valley. We’ll help you feel at home in our cozy cabins and friendly dining room. We hope you will be in touch to arrange a visit between November 11, 2018 and April 28, 2019. There are a few spots free for the holidays, music and digital photography workshops in January 2019 and winter time adult oriented weeks. Reduced rates are available for 2 and 3 plus week long visits! School holidays are family time at Elkhorn Ranch — a great place for a multi-generation family gathering! Join us this next season! Elkhorn Ranch Crew starting top left to right: Alicia, Rachel, Lisa, Bryce, Craig, Grace, Anne, Tom, Cara, Dave, Diane, Ben, Chloe, Laura, Charley, Mary, Clara, Sarah, Kelsey, Hunter, Bayley, Jerome, Jim.